Smartart Arrow Video Tutorial shows how to use the process arrow chart in Smartart step by step. This video uses the business example of a sales process. 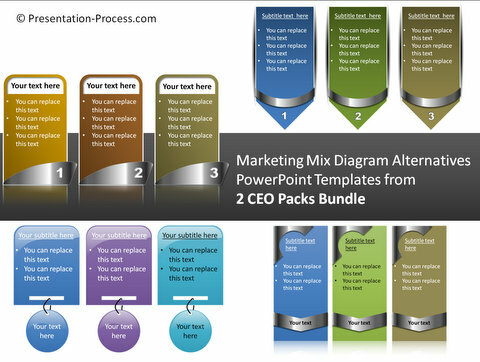 We have shared some creative examples of Marketing Mix diagrams in the video. Here is a quick preview of the templates.